Unfortunately severe thunderstorms can sometimes cause serious damage to a home. After heavy rainstorms some homeowners experience water damage and may find themselves walking into a flood zone in their basement. Do not let the generator run indoors or in any enclosed area, even if the room has ventilation. Generators produce harmful and deadly fumes, such as carbon monoxide. Use the generator outdoors, far away from your home and any area where people could possibly inhale the fumes. This is a very important safety measure to follow, and taking any shortcuts for convenience is not recommended. Make sure that your generator is installed properly. 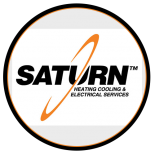 With more than 20 years of experience, Saturn Heating Cooling & Electrical technicians are qualified, licensed and reliable electricians who can ensure that your installation is correct and meets local electrical codes. Make sure that your generator is connected correctly to avoid electrical hazards. Contact us today to ensure that your home and generator have met the safety requirements to protect your home against a flood.